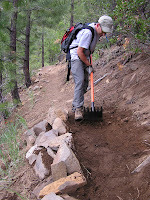 (BEND, OR) Central Oregon Trail Alliance invites all trail users to take up shovels and pulaskis for the good of the party – the COTA Trail-Building Party. COTA’s Annual Spring Fling and BBQ will kick off at 8:00 a.m. on Saturday, June 7. CogWild, Green Energy Tours, WebCyclery will provide shuttles to the work site, leaving at 8:00 am from WebCyclery. Trail crews will build and repair trails until 1:00 p.m., then volunteers will be shuttled back to town for the after-party BBQ. Volunteers should bring plenty of water and wear sturdy footwear and clothing, including gloves and glasses. The after-party begins at 2:00 p.m. at WebCyclery on 550 SW Industrial Way. Food and beverages will be provided by COTA and Seventh Mountain Resort, Blackstrap will play live bluegrass, and COTA will announce the Volunteer of the Year, Lifetime Achievement and other awards. Trail crew volunteers will receive free food and beverages at the BBQ. The public is also invited to join the after-party and to become a member of COTA. All new and renewing members will be entered into a drawing for a Niner EMD 9 Twenty9er bicycle frame. Sponsors of this event include WebCyclery, Cog Wild, Green Energy Tours, Consolidated Towing, Seventh Mountain Resort For event details and membership information, go to www.cotamtb.com. Bend, Or - Oregon Senator Ron Wyden announced today that he will introduce legislation to declare the 30,000-acre Badlands area east of Bend as wilderness. "After years of increasing interest and excitement about protecting this beautiful place, I am ready to introduce the legislation necessary to create the 30,000-acre Oregon Badlands Wilderness," Wyden told a crowd of local residents during a visit to the Badlands. "It will tell the world that Central Oregon is a place with an unbelievable menu of recreation, where you can ski in the morning on one side of town and enjoy the solitude of high desert wilderness in the afternoon on the other." The Badlands's 30,000 acres, located 15 miles east of Bend, contains lava flows and ancient junipers. This area was named for its harsh terrain and fantastic rock formations. Wyden said the wilderness bill will be officially introduced when he returns to Washington, D.C.
Wyden noted that the Badlands is where Rachel Scdoris, a legally blind Central Oregon resident, trained for three Iditarod sled dog races. "This designation is in many ways a tribute to this remarkable young woman who grew up driving and training her sled dog team through this area – and will continue doing so under my bill, for as long as she chooses," Wyden said. Wyden's wilderness bill will closely follow the boundary of the Bureau of Land Management's Wilderness Study Area (WSA), plus several hundred acres acquired in two land exchanges, including one with the Central Oregon Irrigation District. The BLM's current practice of keeping the area off limits to motorized recreation would continue under a wilderness designation. Approximately 450,000 acres adjacent to the Badlands will continue to be available for off road vehicle recreation. "Thousands of Central Oregonians and over two hundred local businesses have made it clear that the time is now to permanently protect the Badlands, said Brent Fenty, executive director of the Oregon Natural Desert Association, "Badlands Wilderness will be good for our economy, our quality of life and ensures that current and future generations can continue to experience a High Desert gem right in Bend's backyard." (Bend, OR) Aspiring auteurs, home video fanatics, students and anyone else from Central Oregon who can pick up a camera, shoot a video and upload it to the FilmmakersWanted.com website are invited to round one of the Filmmakers Wanted! Central Oregon Film Contest. There is no fee to enter, but the submission deadline is June 16. Round One: Upload your favorite piece of video to the site to share with the community. The best 10 submissions selected by the Filmmakers Wanted judges (local film directors and producers) will be invited to Round Two. Round Two: Top 10 filmmakers will be given a topic and six weeks to script, cast, shoot and edit a new film, which will be available for public viewing and voting on FilmmakersWanted.com and Bend Broadband Video-On-Demand. Winners will be announced at a premeire screening in September. Top vote-getters win a $200 Costco gift card for third place, a $500 Connecting Point Computers gift card for second place, and first place takes home a Sony HD Camera and a $200 Best Buy gift card. 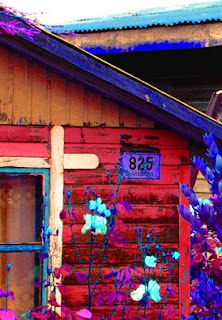 The FilmmakersWanted Contest is sponsored by Bend Broadband, Blue Screen Video & Film, Pronto Print and yours truly. (Bend, OR) Combing through stacks of press clippings for the 4 Peaks Music Festival (Friday and Saturday, July 25-26) and for the bands playing this year, I'm blown away at what an amazing (not so) little fest 4 Peaks has become in its second year. "The Ramblers played a short-but-sweet set between ALO and New Monsoon that rocked my socks, and I was probably the only person there actually wearing anything on my feet. They started out with covers of The Beatles and Pink Floyd, then positively destroyed 4 Peaks’ second stage with a batch of high-energy originals that had 50, then 100, then 200 people literally kicking up dust." "Even when the stage’s sound system lost power, the band invited everyone to gather ’round for a completely unplugged performance. It was exactly the kind of down-home feeling that fit in perfectly with the 4 Peaks experience, at least until the sound system came back in with a loud pop, eliciting a loud cheer from the audience and big smiles from the Ramblers." "The 4 Peaks Music Festival announced its lineup last week for its July 25-26 event, as well as the fact that their local festival grounds have nearly quadrupled in size with the addition of expanded camping area. The initial lineup, which festival organizers say will likely grow as the date nears, already rivals last year’s roster with emerging Bay-Area soul-jammers Tea Leaf Green, String Cheese Incident descendants Zilla, as well as returning bluegrass stars Hot Buttered Rum, and Seattle’s Flowmotion leading the way. Also on the bill: sudden Bend favorite Poor Man’s Whiskey, Matt Butter & S.E.E., local heroes Moon Mountain Ramblers, State of Jefferson and more." "With the positive buzz from last year’s event, it’s almost guaranteed that this year’s edition will draw a much larger crowd. Check out 4peaksmusic.com for tickets and details."
. . . they come to life on stage with totally rockin’ jams . . . 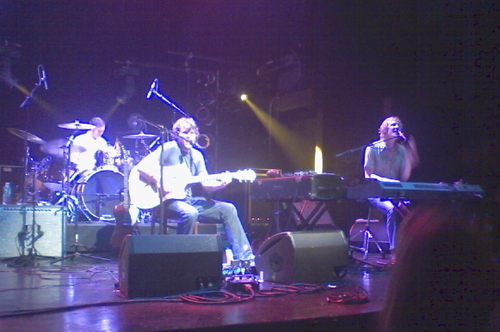 Though they definitely have secured a sound and following all their own, Saturday night’s show, with the help of stellar lighting I must add, made me think that TLG might be the younger, more rock n’ roll heavy cousin of Phish.
. . . People need to start paying attention to San Francisco four-piece Tea Leaf Green. . . . Bands that can deliver improvised searing guitar solos and atmospheric keyboard riffs will always have a place in my heart (and the entire Jam Nation). . . . Their set amply displayed why they’re regarded as one of the top bands on the jam-band circuit. These guys can play as well as anyone . . . if you’re looking for rootsy, soulful music . . .
(Bend, OR) Just got the line-up for this year's Bite of Bend Iron Chef Competition. Eight local chefs face off starting Saturday, June 21 at noon. Finals start at 11:00 am on Sunday, June 22, and the winner will go head-to-head with last year's winner, Chef TR McCrystal of Jen's Garden. (Bend, OR) Blacksmith Restaurant + Bar + Lounge presents ZanZibar Cellars’ first-ever wine dinner, at which winemaker Ziad Keirouz will also unveil his winery’s first-ever chardonnay release. Wine Spectator magazine recently named Keirouz among influential new winemakers. For the dinner, Chef Gavin McMichael, sommelier Kevin Gilman and winemaker Keirouz will collaborate on a four-course menu paired with selections from ZanZibar. More details to come – sign-up for the the Blacksmith’s B-List and be the first to know: www.bendblacksmith.com. Or call 541-318-0588. (BEND, OR) Bistro Corlise’s Chef Jason Logan presents an evening of culinary delights from the Loire region of France on Tuesday, May 20. Seating is limited to 16 for this special five-course meal paired with regional wines. Cost is $125 per person (gratuity included). 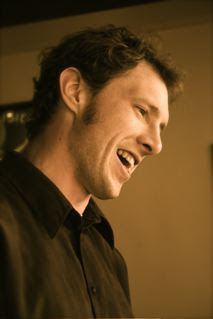 For full menu and reservations, visit www.bistrocorlise.com or call 541-385-6979. 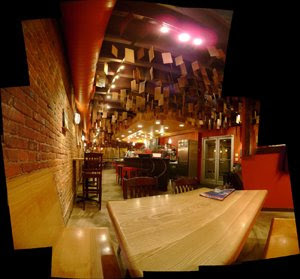 Bistro Corlise is located downtown Bend at 916 NW Wall Street. The Loire River Valley stretches out from west to east about 700 miles, making it France’s longest river. Along the lazy Loire River grows a bounty of vegetables, fruits, mushrooms, and animals including wild game and the famed goats. This produce, along with meats and milks, fills the tables of homes and restaurants with the individual pride of local farms. France’s so called ‘garden’ of agriculture is also home to some amazing wines which play an equally important role in the regional pride at the table. The Loire Valley’s wide variety of climate, soil, and grape varieties makes it difficult to include them all in one night. On May 20, we will be exploring a sauvignon blanc from Pouilly-Fume, chenin blancs from Savennieres and Vouvray, and cabernet francs from Bourgeuil and Chinon. These wonderful wines, along with the regional dishes, create a wonderful springtime meal as relaxing as the calm Loire River itself. Read more about Loire here. (BEND, OR) The Jackalope Grill presents a special winemakers dinner featuring King Estate winemaker Lindsay Kampff on Sunday, May 18. Chef Timothy Garling's five-course menu is paired with selections from this acclaimed Oregon winery. In Wine & Spirits 2007 restaurant poll, King Estate was voted #2 most popular pinot gris by the glass, receiving the highest score for a domestic Pinot Gris producer in the history of the magazine’s poll. Wine & Spirits also named King Estate “Winery of the Year” in 2002 and 2003. Limoncello Shrimp (jumbo shrimp, shaved fennel, limoncello) paired with 2006 King Estate Oregon Pinot Gris. Asparagus and Fava Bean Salad (bacon- sherry vinaigrette, fresh arugula) paired with 2007 King Estate Domaine Pinot Gris. Miso Marinated Sable Fish (jasmine rice, fresh ginger pickled plums) paired with 2006 King Estate Oregon Pinot Noir. Venison Ragout (hand-made fresh tagliatelle) paired with 2005 NxNW Walla Walla Cabernet Sauvignon. Chocolate Budino (fresh berries, orange-balsemic reduction) paired with 2006 King Estate Vin Glacé Pinot Gris. Cost is $90 per person, including gratuity. Seating is limited and reservations are required, please call 541-318-8435. For information visit jackalopegrill.com. The Jackalope Grill is located just off Reed Market road in the Scandia Plaza, 1245 SE Third St. (S. Hwy. 97) in Bend. To help me, my clients and our friends in the media - including all you mad blog fiends out there - better keep track of upcoming events in and around Bend, I've created a public Google calendar listing events for my Ad HOC clients, including Thump Coffee, Jackalope Grill, Bistro Corlise, Blacksmith Restaurant + Bar + Lounge, 4 Peaks Music Festival, Vima Lupwa Homes, etc. Others are welcome to email me events, and I'll list them as time, space and conflicts allow. You can also add my Google calendar to yours by entering my email address (haroldolafcecil AT gmail DOT com) in the left-hand column of the Google calendar interface. We will be closed on Saturday, May 17 while Team Thumpista poles, pedals and paddles its way to the finish. Come cheer us on! According to photographer Shelby Leigh, her work is an extension of sometimes-quiet observations and how she sees tiny moments in time. In her travels near and far - the exhibit includes photos from Oregon, Morocco and Chile - she likes to "notice the little things and bring them to others so that they too can see the beauty and intricacies that this world has to offer." Though she says her stories are infused in each image, she invites you to "let your imagination take you on your own journey to find peace, simplicity and wonder." Recently making the transition from film cameras to fully digital photography, Leigh explains that her newer images were shot with a Nikon D70 camera and digitally printed from an Epson 2200 printer, while most of her photos have been taken with many different traditional film SLR cameras, scanned, then printed from the Epson 2200. Avis LoftsTumalo-based artist and custom furniture designer Robert Johans elevates the humble, utilitarian birdhouse into the fine art realm. Whimsy and masterful craftsmanship make Avis Lofts the perfect celebration of Spring. Grab a plank and let everybody know your heart's fondest desires. From the absurd to the profound, the Wishes reveal the full range of human concerns and humor. Artist Mark Bernahl will continue rotating newly minted wishes into the existing installation. Our own writer-in-residence, Buffalo Folsom contributes "Buffalo's Column," which you'll find in the shop printed on laminated strips of paper that hangs from hooks on a board, one for each day of the week. Here's the intro from his website: "My name is Christopher "Buffalo" Folsom. Most people call me Buffalo. The monicker was formed during my work as an archaeologist in the State of Utah. A couple of Native Americans I was working with started calling me Tatanka, the Sioux word for the American Bison. Over time, it evolved to "Buffalo". Several pieces I have created involve the use of recycled materials. I have been refered to as a junk artist, a genius and everything in between. As you view this site, you be the judge. Enjoy!" From Kent: This is the same bean we were serving a few months ago, however the current lot has been processed differently. The fully washed process produces a cleaner, brighter, and slightly sweeter flavor. Where the previous lot exhibited flavors of grape, cherry and milk chocolate; the current lot shows lemon, dark chocolate, and brown sugar. I love the way this bean illustrates the importance of the processing method on the final cup quality (see Thumpology below). Can you taste the difference between a washed process and dry process coffee? Join our public coffee cuppings and taste coffees side-by-side. Discover personal preferences, likes and dislikes, and begin to taste and describe your personal and subjective sensory experience. You'll appreciate how many variables and steps along the coffee's path to us can influence how it tastes in the cup (see this month's Thumpology). Cuppings are usually the third Sunday of the month at 1:30pm - get details at our website and by subscribing to our newsletter. Team Thumpista rips it up for a second year in the Pole, Pedal, Paddle. Thump will be closed for the day, so come cheer us on! We'll be back at the shop on Sunday to share war stories. See you then! A coffee industry veteran, Amy was a long-time manager at Starbucks back in the days before they adopted fully automatic espresso machines. You'll find Amy here on weekends. During the week, she helps manage a world-class outrigger and surf paddle company, Kialoa Paddles. She spends off time hiking with her doggies Scout and Timber, playing soccer, or training with the Bend Oregon Outrigger Canoe Club (BOO). In the photo above, she and her BOO mixed crew receive a 1st place trophy for an 18-mile race at Howe Sound, British Columbia. Amy has raced with BOO up and down the West Coast - and in Bora Bora! For a good story, ask her about her epic race at Pacific City, Oregon with crashing waves and broken boats! In previous Thumpology articles we've discussed how the roast can affect a coffee's flavor. How it is processed after harvest can have an even more significant influence on its ultimate flavor. Not to be confused with processing food, which might involve removing nutrients, adding artificial stabilizers, flavors, preservatives, etc., processing coffee is an all-natural sequence of steps taken after picking the coffee to prepare it for market. 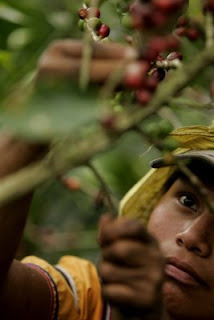 Coffees are harvested when the fruit surrounding the bean, known as the cherry, is ripe. The cherry holds necessary sugars and desirable flavors that need to be infused into the coffee bean. Farmers use two primary processing methods to release these flavors from the cherry: the dry process and the wet process. Dry Process (aka Natural Process): The cherry is left on the bean and dried naturally in the open air by sunlight on large patios, where the coffee is continually raked for even drying and mildew prevention. Once properly dried, the cherry is removed from the bean. The dry process method can be hard to control due to the coffee's vulnerability to environmental elements (rain, humidity, sun) while drying. The end result can be mixed and unpredictable. A dry processed coffee may be heavy bodied, sweet, smooth and complex. Washed Process (aka Wet Process): The cherry is removed from the bean, but a thin, sweet, slimy layer, called mucilage, remains. The beans are placed in fermentation tanks for 12 -36 hours for flavor development, then they undergo extensive washing to remove remaining mucilage and fermentation residue. This is a more controlled method with more consistent results. A washed process coffee may taste cleaner, brighter, and fruitier. The washed process is water intensive and is more likely to be used in growing regions with easy access to water - and by farmers with the money to build the infrastructure needed for processing. Whereas the dry process is likely to be used in growing regions with lower humidity and reliably dry, sunny periods to prevent the cherries from mildewing while drying. 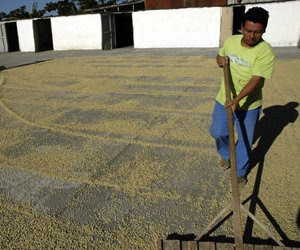 Our May featured coffee is Costa Rica Montes de Oro - Washed Processed. Previously, we carried the natural processed Montes de Oro, which was heavier, even thick in body and very citrusy. By contrast the washed version is very clean, smooth with very balanced citrus notes. The same bean, processed differently has yielded extremely different results. Which is better? That's up to you to decide! Chewy Toffeenut Bars Wonderful butterscotch flavor blended with crushed toffeenut & pecans. Layers of rich chocolate, butterscotch, pecans & coconut on a graham cracker crust. Freshly roasted chicken breast, pesto, tomatoes, spinach, sundried tomatoes, on hand shaped focaccia. Fresh basil, roasted red peppers, goat cheese, artichoke hearts, balsamic vinegrette, on hand shaped focaccia. Hand sliced ham, garlic aoli, swiss cheese on hand shaped focaccia. * Did ya know that a single panini is a panino? 5/7: Blacksmith Wed. Tasting "Martinis of the '20s"
(BEND, OR) Great Gatsby! 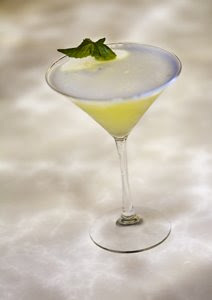 During May, the Blacksmith Restaurant + Bar + Lounge mixes up its Wednesday tastings with the swankiest of cocktails, the martini. Join the Blacksmith’s own intoxicologist, John Hansen in the Anvil Room this week for “Martinis of the ’20s,” a journey through the martini’s history, including John's antique shaker collection. Martini tasters will be served cocktail party-style, with appetizers included. Price is $25 per person. Party starts at 5pm.